and is offered with a matching response card and address label. 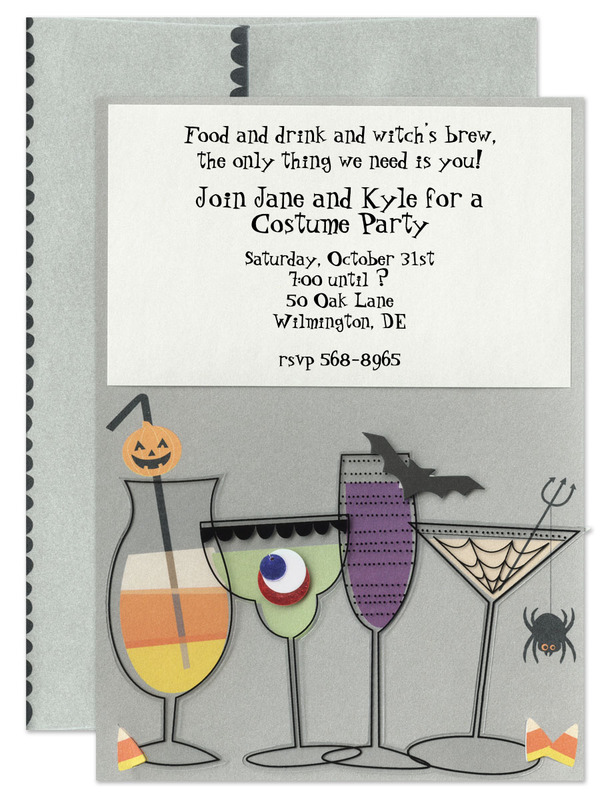 an adult "Costumes and Cocktails" party! Trick or Treat? 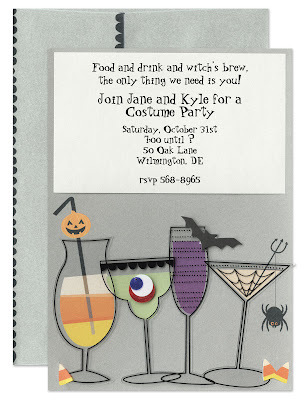 This invitation by Jasmine & Woo is certainly a "treat"! 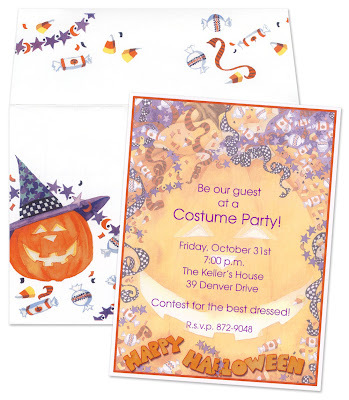 Send it to family and friends to invite them to your family's Halloween bash. 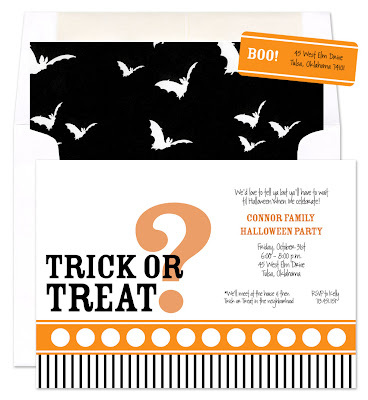 To complete the ensemble, a matching address label is also offered with this invitation. 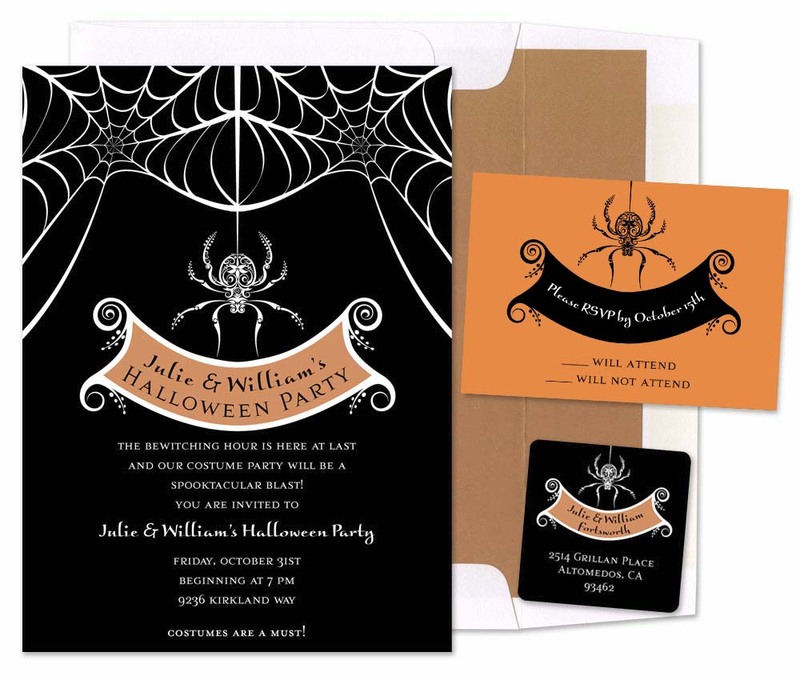 illustrations on the envelope are almost as fun as the invitation itself! 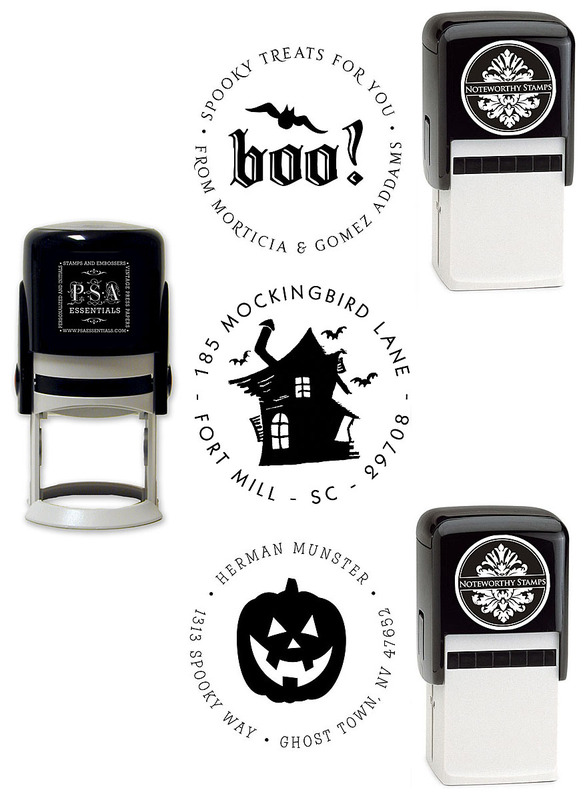 Make addressing easy with a personalized Halloween stamp!